The Video Bingo will transport you to different places around the world and let you discover their gastronomy. This Video Bingo has 17 different patterns with a prize, as well as 10 extra balls with a wild ball and an extra free ball. It also has 6 Mega Balls, 2 Bonus phases and a progressive bonus with a wheel of fortune. 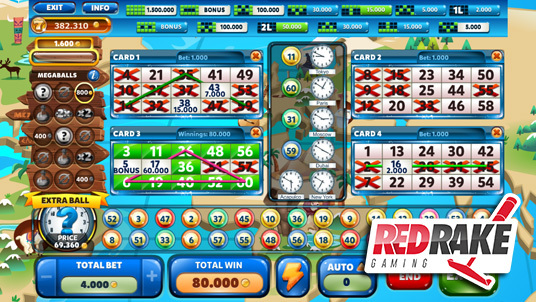 ¡Red Rake Gaming has yet another surprise with a new Video Bingo that guarantees fun and prizes in equal measure!